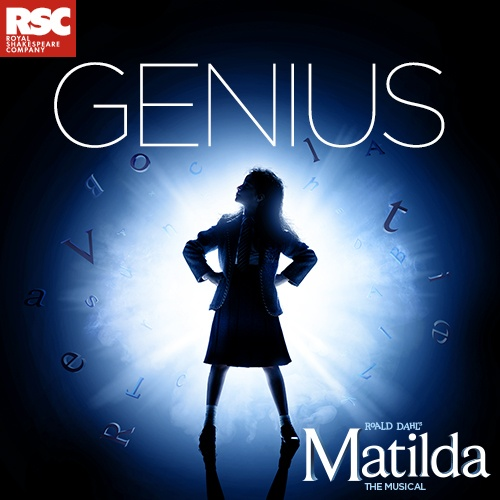 Inspired by the twisted genius of Roald Dahl, with book by Dennis Kelly and original songs by Tim Minchin, Matilda is the captivating musical masterpiece from the Royal Shakespeare Company that revels in the anarchy of childhood, the power of imagination and the inspiring story of a girl who dares to change her destiny. Matilda The Musical is written by playwright Dennis Kelly, with music and lyrics by the anarchic Australian comedian, musician and composer Tim Minchin, and direction by Matthew Warchus. The production is designed by Rob Howell, with choreography by Peter Darling, orchestrations additional music and musical supervision by Christopher Nightingale, lighting by Hugh Vanstone, sound by Simon Baker and the special effects and illusions are by Paul Kieve. In 2011 Matilda The Musical won both The Peter Hepple Award for Best Musical at The Critics’ Circle Awards and The Ned Sherrin Award for Best Musical at the Evening Standard Theatre Awards. The production has also collected the awards for Best Musical Production and Best Performance in a Musical (Bertie Carvel) at the Theatre Awards UK 2011. In February 2012 Matilda The Musical picked up four awards at this year’s Whatsonstage.com awards including Best New Musical, Rob Howell for Best Set Designer, Peter Darling for Best Choreographer and Tim Minchin for the London Newcomer of the Year.